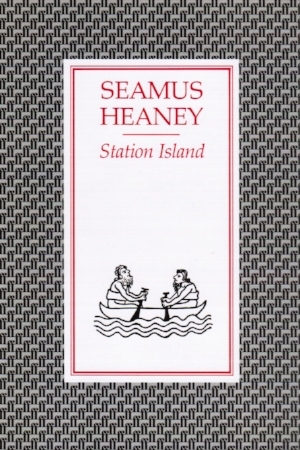 Seamus Heaney’s sixth volume of poetry, Station Island, takes its name from a centuries-old Irish site of pilgrimage in Lough Derg. In this collection, first published in 1984, Heaney explores the role of the poet and his relation to history and religion. The book is organised into three sections. The first includes personal poems such as ‘The Underground’, and two dedicated to his children – ‘A Kite for Michael and Christopher’ and ‘A Hazel Stick for Catherine Ann’. The second section – a narrative, autobiographical sequence, from which the book takes its title – imagines encounters with a murdered cousin and the shades of writers, including Patrick Kavanagh and James Joyce. The collection concludes with a third section in which the poet takes on the voice of a character from Irish legend, mad King Sweeney – which he developed more fully in Sweeney Astray.